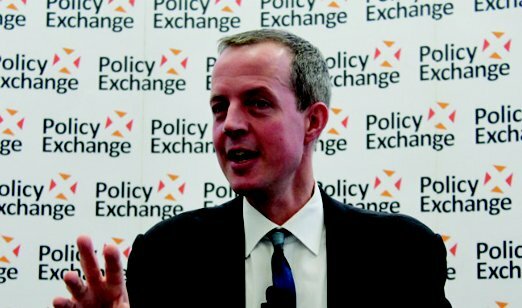 I've always had a soft spot for Nick Boles. Not only does his liberal conservatism chime with my own views but I think he is one of the brightest and most engaging Conservative thinkers of the past 20 years. Much like Michael Gove, he's a committed reformer; unable to accept a middling status quo and constantly asking how we can do more to improve public services. His extraordinary courage to recover from illness only reinforces the view that he is a man who thrives on overcoming whatever challenge is laid in front of him. I attended an event before Christmas at the think tank Policy Exchange, where the former Planning Minister discussed the housing chapter in his forthcoming book - A Square Deal. The book is set to be a sort-of 'mini-manifesto'; setting out Boles' ideas to address the economic and social problems facing the country and restore the public's faith in free markets and free society. Follow the German model and encourage Councils to form development corporations, whereby they assemble land through beefed-up CPO measures, deliver the necessary infrastructure prior to development and then sell off development plots to housebuilders. Reform the Homes & Communities Agency and rename it the Grenfell Housing Commission. The Commission would be tasked with building 500,000 new homes over the next 10 years, delivered by government departments transferring all surplus public land into the Commission's ownership and financed by a new Treasury bond issue. Enhanced 'use it or lose it powers' to encourage developers to build out consented developments at an agreed rate or be forced to offer undeveloped plots to rival housebuilders at book value. Increase densities in urban areas to reflect European standards and allow homeowners to increase the height of their property by up to two stories, without planning permission but in line with an agreed design code. I am sure some of the above ideas will be met with trepidation from members of the development community. Major reform of regulatory systems naturally breeds uncertainty - something businesses have become unfortunately accustomed to as a result of the political shocks of the past 18 months. That said, the country is undoubtedly facing a huge challenge to maintain the dream of homeownership for future generations. Regardless of what you think of Boles' ideas, he should be commended for daring to think outside the box. For too long, ministers have tinkered around the edge of housing policy - pulling a lever here and a lever there to test outcomes and consequences, often with limited success. It is time for us to think big. To think about the challenges of the next 30 years and how we meet them. Many developers have already adopted this mindset; Pocket Livingcontinues to innovate, Berkeley Group is putting its money where its mouth is regarding modular construction and Minerva Smart Cities is rising to the challenge of delivering genuinely affordable homes without public subsidy. Whatever you think of Mr Corbyn's Labour Party, they are offering new ideas to challenge the status quo and win over voters who feel they have been left behind. The Conservative Party must now show it too is capable of thinking big to deliver the homes we need. A good place to start might be ordering a copy of Nick Boles' new book.